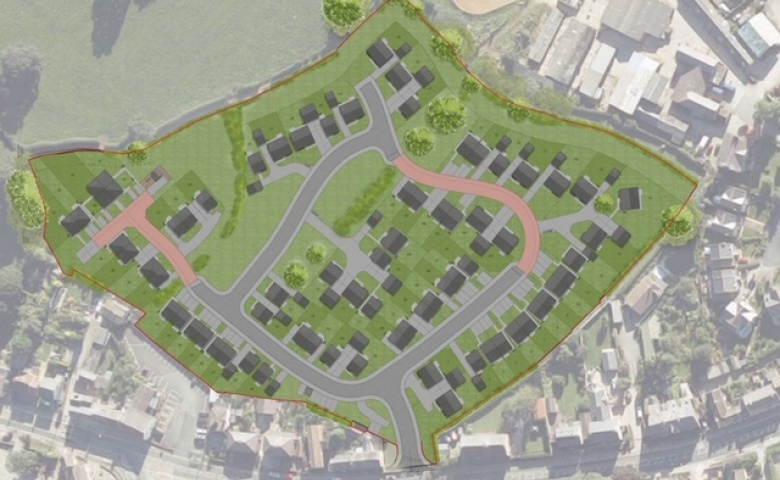 Nearly eight acres of prime residential land with detailed planning consent for 73 new homes, in the village of Killinghall, between Harrogate and Ripon, has been sold to a prominent local housing association – Yorkshire Housing. The social housing provider was keen to secure the site to ensure the delivery of much needed affordable homes in Killinghall. Leading property firm, Adair Paxton Ltd, negotiated the sale, acting for Woodhead Investment & Development Services Ltd, a well-known family-owned Wakefield business with interests in residential, commercial and agricultural property across the North of England. The private owner of part of the site was represented by Robert Hurst of Fisher Germans’ Newark office. Adair Paxton’s Land & Development Director, Bruce Collinson, said: “We’ve been working on this development site for five years, which has involved maximising its value by securing planning consent and going to the open market, and it’s very rewarding to get the deal over the line. The housing association was advised by Kester Horn, of Space Partnerships, Deborah Finan from LCF Law’s Bradford office acted for the vendors, and Ian Errington of Blacks Solicitors and Richard Stirk of Bevan Brittan LLP acted for the buyers. Adair Paxton is a leading, independent firm of estate agents that was founded in 1859. The company provides both residential and commercial sales and lettings services, as well as having established survey and block management divisions. Operating across Leeds and West Yorkshire, with offices in Horsforth and Leeds city centre, Adair Paxton currently employs a 35-strong team. The company celebrates its 160th Anniversary this year, making it one of the most established companies in its sector in Leeds.